Dr Leonid Luks is Professor of Contemporary Central and East European History at The Catholic University of Eichstaett-Ingolstadt in Upper Bavaria. Author of numerous scholarly books and articles, Prof. Luks is the founder and a co-editor of the German print journal Forum für osteuropäische Ideen- und Zeitgeschichte, and Russian web journal Forum noveishei vostochnoevropeiskoi istorii i kul'tury (Forum for Current East European History and Culture). He is also a member of the editorial committee of the book series Soviet and Post-Soviet Politics and Society. Translated from German by Immanuel Petermeier and Andreas Umland. Following the dissolution of the Soviet Union, Russia turned into an aggrieved colossus -- anxious to restore its status as a world power. In this respect, Russia’s situation resembles that of inter-war Germany, i.e. of the Weimar Republic that emerged after World War I. The term “Weimar syndrome” has repeatedly been applied to Russia. In Russian history too, there were similar periods which saw the country acting like an aggrieved great power, as it does today. Such an example from the Russian past are the years following the famous Crimean War of 1853-1856. To be sure, Russia's domestic situations and international positions in 1856 and 1991 constituted two fundamentally different settings. In contrast to the year 1991, there was, for instance, neither a breakdown of the Russian empire nor a political, ideological, economic and social collapse of the previous systems, in 1856. Nonetheless, the behaviour of Russia’s political classes shows certain similarities in these two otherwise distinct periods, indicating that Russia’s history is characterized by certain continuities along with her cataclysmic upheavals. Shortly after the defeat of the Tsarist troops in the Crimean War, Russian Foreign Minister Gorchakov said: “Rossiia sosredotachivaetsia” (Russia is focussing/concentrating herself). This phrase has been repeated by many Russian authors, after the break-up of the USSR, in order to express that Russia’s state of shock after losing its empire and hegemonic status in Europe is not going to be permanent. Sooner or later Russia would be renewed and return as a global power -- just the way it did after her loss of the Crimean War. The foreign policies of the Soviet Union were heavily shaped by ideology, as were the Tsarist policies towards Europe, before the Crimean war. The USSR was an ideocracy, embracing the principles of proletarian internationalism and punishing so-called counter-revolutionary forces, within and beyond its borders, e.g. in the GDR in 1953, in Hungary in 1956 or in Czechoslovakia in 1968. The Tsarist empire was also beholden by trans-national ideas too during the first half of the 19th century -- namely by the principle of legitimism. It too tried to oppress any movement that revolted against this principle -- even outside Russia’s borders such as in Hungary in 1849 or in the Danubian principalities in 1848. After the defeat in the Crimean War, however, the Russian leadership came to regard a policy of intervention dysfunctional. For instance, this policy had saved the Habsburg Empire by oppressing the Hungarian insurgency in 1849; yet, later on, the Habsburg Empire became an opponent of the Tsarist Empire’s foreign affairs. Gorchakov noted that Russia had become hated by many people in Europe because of its support for other legitimistic powers, including Austria-Hungary. 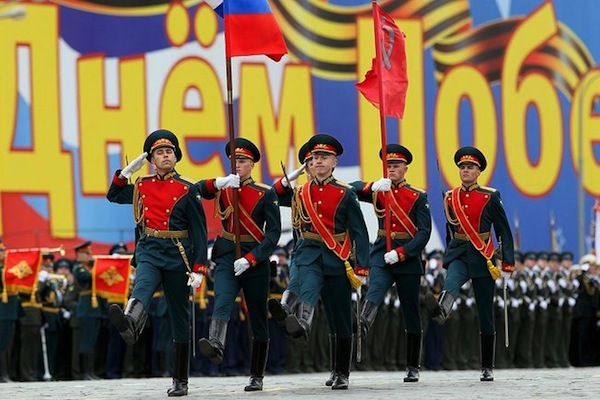 Russia ought to abandon its role as the gendarme of Europe and merely defend its national interests. Many Russian politicians started thinking along similar lines after the collapse of the Soviet Union. The solidarity with “socialist brother-states” had entangled Russia in unnecessary conflicts all over the world and made it a subject of hatred by many peoples. From now on, the country would have to focus on its own matters. Russia’s return to her own interests was accompanied by grandiose domestic policy reforms, in both the Tsarist Empire after the Crimean War and Russian Federation after the collapse of the Soviet Union. After Russia had lost the Crimean war it experienced a domestic transformation reminiscent of the reforms of Tsar Peter the Great, at the beginning of the 18th century. The so-called Great Reforms of the second half of the 19th century can be seen as Russia’s second wave of Westernization or Europeanization. Serfdom was abolished, censorship significantly reduced, and impartial courts were created by the legal reform of 1864. The first foundations of a separation of powers were established. Many demands that had been made earlier by critics of Russian autocracy were now implemented one after the other. Moreover, in both cases, society became polarised by the reformers – though in distinct ways. Left-wing utopians posed the most immediate danger to the reforms in the epoch of Alexander II – also called the "Liberator Tsar” – since they believed that this era’s sweeping reforms were not radical enough. They were not interested in a reform of the Tsarist system, but in destroying it. The reforms in post-soviet Russia, initiated after the failed August 1991 counter-coup, faced different dangers. They were less jeopardized by utopians planning to establish an unprecedented reign of equality and social justice. Rather they were opposed by old elite strata – the ancien régime’s representatives who sought revenge after being politically defeated and deprived of power in 1991. However, militants opposing Russia’s gradual renewal were not the only threat to the reformation process in both epochs. The inner tensions of the respective reformative camps too were unhelpful in the transition processes. A major factor in these intra-reformist controversies was the question of nationalities – a salient issue in Russia’s multinational state, now and then. Both periods were distinguished by liberalization, in this regard. In the 19th century, St. Petersburg suspended several anti-Jewish restrictions, after the accession of Alexander II to the throne. In Poland, then a part of the Tsarist empire, emergency rule which had been in effect since the November revolution of 1830/31, was abolished. In the immediate post-Soviet period, Russia entered the path towards becoming an authentic federal state after it had been a pseudo-federation, during communist rule. The Federation Treaty of March 1992 gave Russia’s national republics a degree of autonomy of which they could never have dreamt of during Tsarist or Soviet times. However, these concessions by the center did not suffice for some of the nationalities, neither in the first reform phase in the 19th century, nor in the second in the late 20th century. A number of these nations were aspiring full sovereignty; even extensive forms of autonomy within Russia would not satisfy them. This was the case with Poland, at the time of Alexander II, and Chechnya, in post-soviet Russia. The brutal oppression of the Polish and Chechen struggles for freedom by the Russian armed forces undermined the credibility of the reform processes and caused the reformers' factions to split. The conflict with the secessionist provinces boosted nationalistic emotions in the imperial nation, including significant parts of the reformers' camp, during both the era of Alexander II and the Yeltsin period. When the borders of the state were questioned by independent-minded minorities, the Russian political elite’s willingness to allow further concessions to internal as well as external perceived opponents decreased. Criticism of the West increased – not the least because it was seen as supporting the secessionist tendencies in Poland or Chechnya. The publication, in 1869, of the influential book Russia and Europe by the once relatively liberal-minded Russian cultural historian Nikolai Danilevskii is exemplary in this respect. Many consider Danilevskii a precursor of Oswald Spengler as Danilevskii had developed a theory of societies’ biological ageing which Spengler partly reproduced, in the 20th century. This theory seeks to explain why civilizations vanish from the historical stage after completing certain cycles of development. While, in Danilevski’s view, the Roman-Germanic civilization had entered a phase of decline, the fundamentally different Slavic culture was on the rise. Danilevskii ascribed the anti-Russian sentiments in Western Europe to Russia’s alien character and differences between the two culture types. He describes the expansion of the Russian Empire over the last centuries with staggering self-righteousness and ascribed to it a quality completely different from the conquests by Western powers. In post-soviet Russia too, the democrats who had been favouring “Russia’s return to Europe” before August 1991, started advocating a special path for Russia. Pro-Western circles were accused of being too lenient with Russia’s direct neighbors. For instance, Sergei Stankevich, then political advisor to President Yeltsin, said in summer 1992: “Our neighbors consider Russia as some sort of relict from which one can carve out one part or another.” Ideas like national pride or national interests are natural in the West, added Supreme Soviet Foreign Relations Committee chairman Evgenii Ambartsumov. Why should that not be the case in Russia too? Thus, almost all of Russia’s political camps felt humiliated after both the lost Crimean War and the lost Cold War, and were longing for a restoration of the country’s position as a great power. In the first case, they succeeded as little as fourteen years after the Paris Treaty of 1856 which had documented Russia’s defeat in the Crimean War. The Second French Empire, the cornerstone of the 1856 post-war order, suffered a crushing defeat during the Franco-German war. Already at the end of October 1870, i.e. two month after the Battle of Sedan which sealed the end of the second Napoleonic empire, Russian Foreign Secretary Gorchakov declared that Russia does not feel any longer obliged to adhere to neutralization of the Black Sea as determined in the Paris Treaty. Once again, the Tsarist Empire had became an equal member of the concert of European powers. Russia no longer sought a fundamental revision of the existing European order; rather, France did. Today’s post-soviet Russia is a different case. Moscow’s leaders feel that the West does not appreciate Russia’s national interests sufficiently. The USA is especially heavily criticized for refusing Russia equal rights of a great power. The eastward enlargement of NATO, military intervention in Yugoslavia and recognition of Kosovo’s independence are all examples of Western arbitrariness and disrespect. By way of recognizing as “independent” states the seceding provinces of South Ossetia and Abkhazia after the Russian-Georgian five day war, Putin’s circle, apparently, tried to prove Russia’s return to world politics as a great power and “sovereign democracy.” Moscow’s recent arbitrary actions are reminiscent of her similarly unilateral annulment of the so-called Pontus or Black Sea clause by the St. Petersburg government in October 1870. However, when comparing these acts, one should not ignore the following fundamentally differences between the two larger constellations. In 1870, the Europeans considered the national states as absolute value, and pursuing national interests as a sacred duty of every state. Russia acted accordingly, as did Germany, France, Italy and other European States. This view had turned Europe into a time bomb that blew up in 1914 for the first and in 1939 for the second time. It was only after the experience of two disastrous world wars that a shift of paradigm took place which dethroned the national idea as an imperative value, and fed into the European integration process. With the notable exception of the Yugoslav tragedy, it was for this development that Europe saw its longest peacetime in its history. At the beginning of Gorbachev’s Perestroika, European integration tendencies infected Russia as well. Parts of the Russian elite now wished for the country’s “return to Europe.” Such longing should not be easily dismissed as mere “romantic enthusiasm” – as it is sometimes done – as it had concrete political consequences. The political miracle of the peaceful revolutions of 1989, the overcoming of the European division and the German reunification would not have been possible if there had not been such yearning and the abandonment of the so-called “Brezhnev Doctrine” of Eastern Europe’s limited sovereignty – a doctrine that fundamentally contradicted the idea of a “common European house” that was then guiding the foreign policies of Gorbachev’s reform team. situation that today's (actually post-Soviet Russia, in general) Russia is facing? It is practically fully surrounded by either NATO countries, or the aspiring for NATO membership ones. (In this regard none of the Western commentators, ideologues, or politicians even touches the most controvercial issue: the necessity of existence of NATO these days! ?